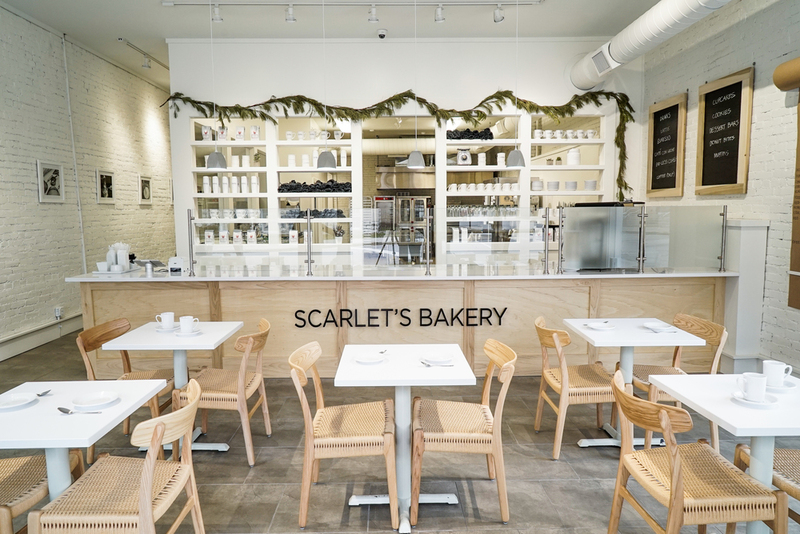 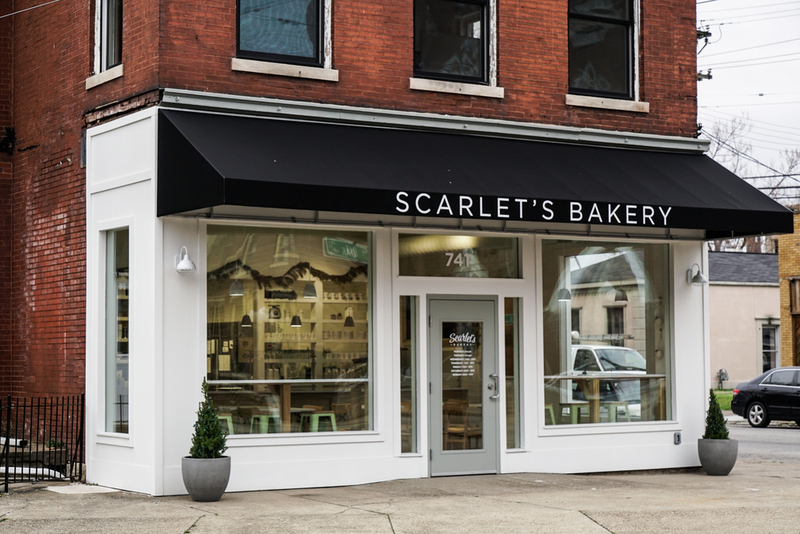 Constructed in the Shelby Park neighborhood in the late 1800's, Scarlet's Bakery has been home to a pharmacy and thrift store. 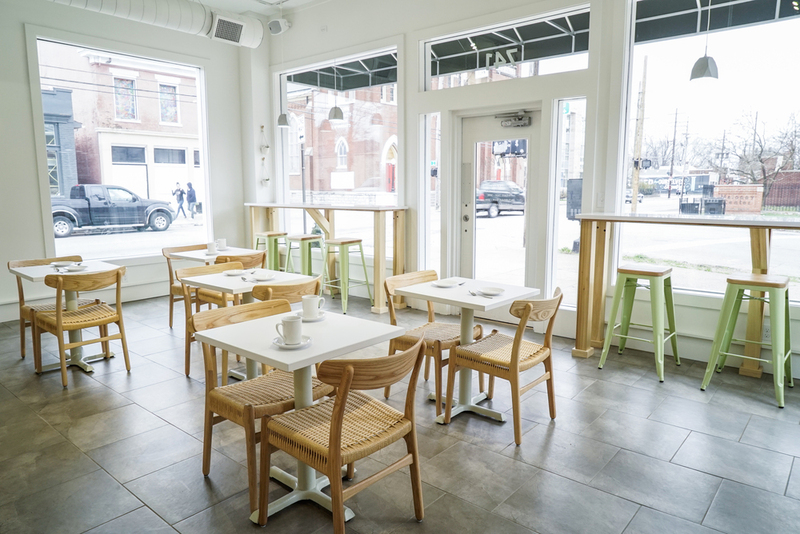 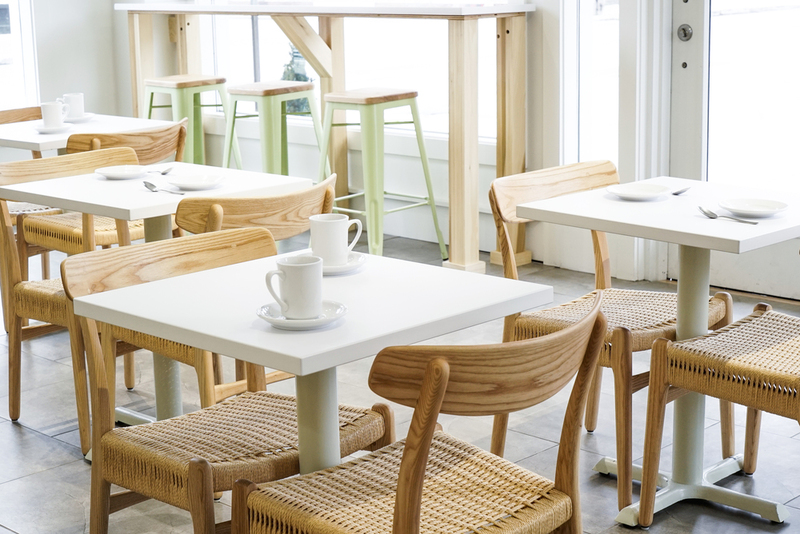 After a major renovation, the first floor has 11' ceilings with a rebuilt storefront to open the dining area to natural light and views of the Oak and Shelby street corner. 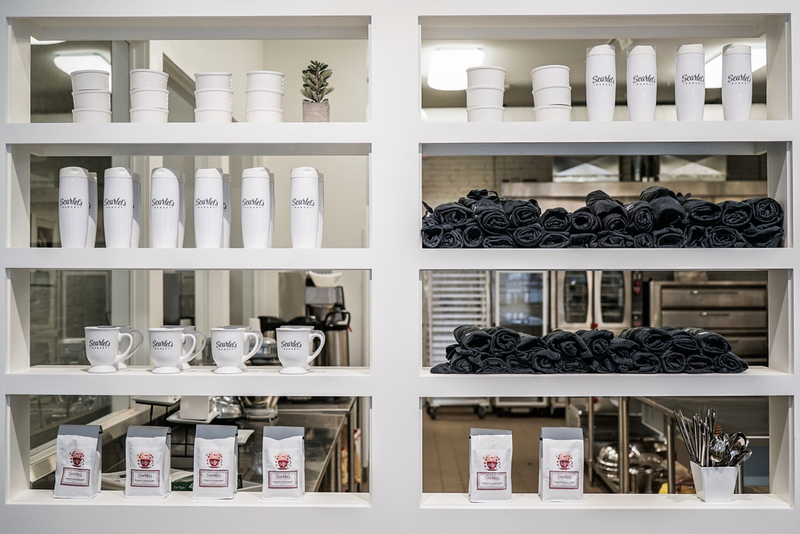 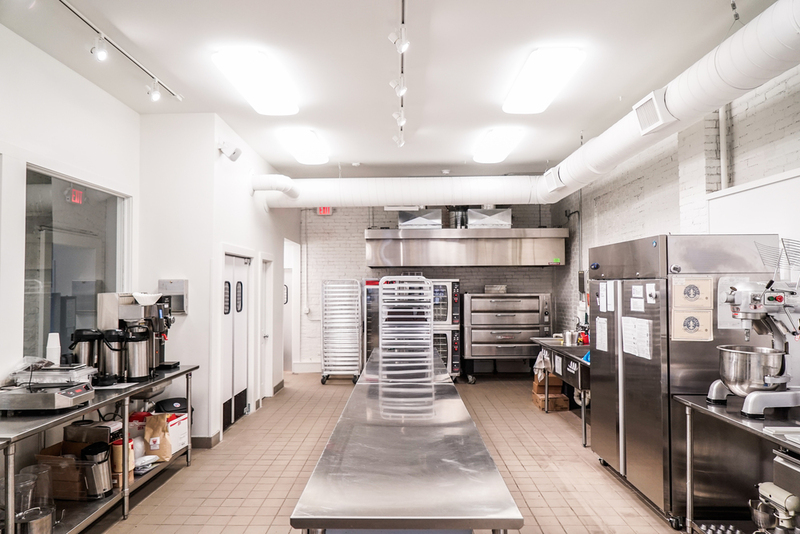 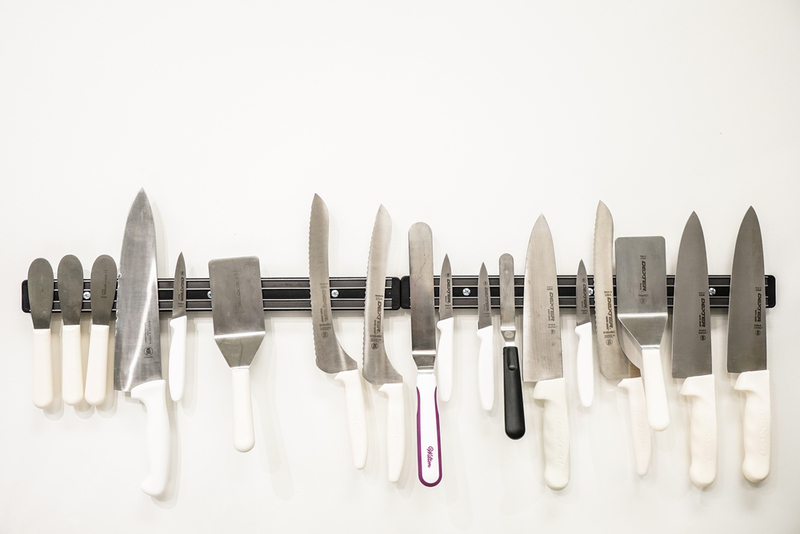 The kitchen is revealed behind the cash wrap and open shelving, so that guests can watch the bakers at work.